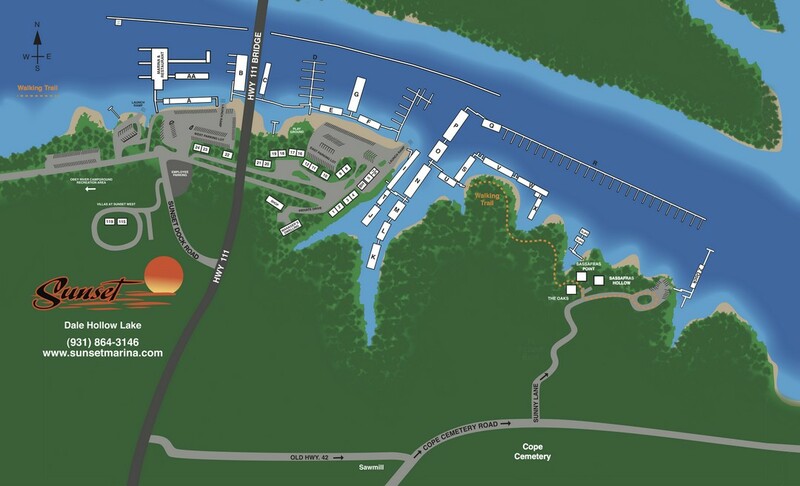 Houseboat rental on Dale Hollow Lake at Sunset Marina offers three convenient sizes of houseboats from which to choose. 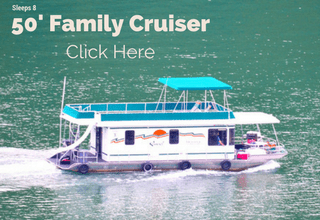 Be your own Captain and capture the beauty and the prestige of one of the clearest bodies of water in the country. 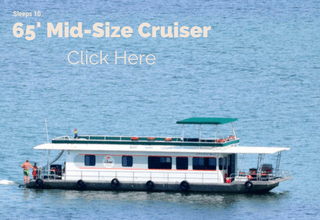 When you pilot one of these luxury vessels, you are in control. Relax. You have worked hard and now you deserve to enjoy it! 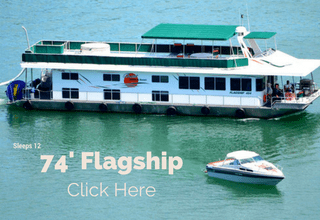 No boat handling experience necessary, and detailed instruction is provided. Loading assistance is provided by Sunset’s crew. Choose from thousands of secluded coves on beautiful Dale Hollow Lake to enjoy for the week, mid-week or weekend. A minimum three-night stay is required. 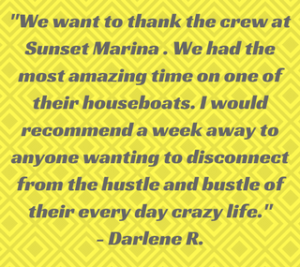 The great news is that daily rentals may be possible if a houseboat is available. Just ask! DEPOSIT: All accommodations require a deposit, which will be applied to the balance payment. The deposit is required within seven days of making reservation. The balance payment is due 60 days prior to arrival. A minimum three-night stay is required. TERMS: All prices are based on payment by cash. Credit card payments will incur a 3% service charge. Upon arrival, a signed credit card imprint will be held on file in case of damages. 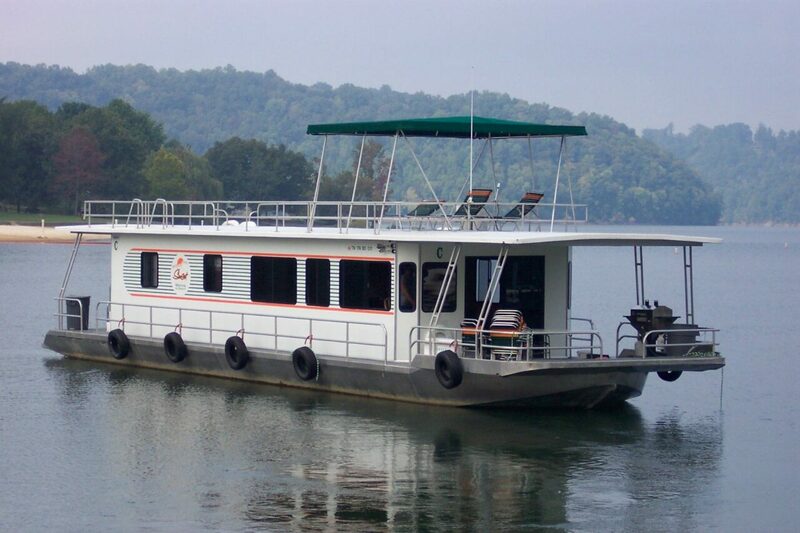 SMOKING: Tennessee State Law prohibits smoking inside all houseboats. GASOLINE: Rental fees do not include gas or oil. 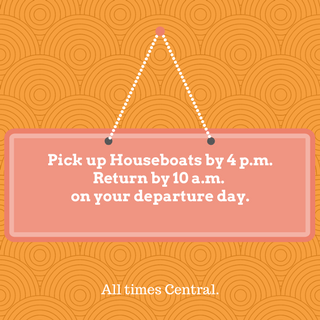 Portable gasoline and flammable liquid containers are NOT allowed aboard houseboats. Average engine fuel consumption: 2-4 gallons per hour. The average cruise speed is 7-10 miles per hour. Average generator fuel consumption is one gallon per hour. TENNESSEE BOATER LAWS: To operate a motorized vessel of more than 8.5hp, Those less than 12 years old must have a supervisor on board who is at least 18 years old and able to take immediate control of the vessel. The supervisor, if born after Jan. 1, 1990, also must have a Tennessee Boater Education Certificate issued by the TWRA. 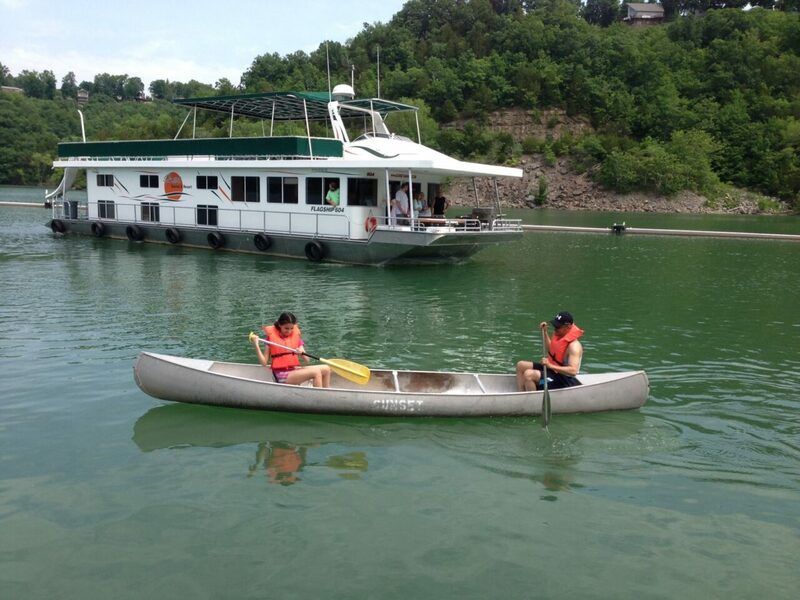 Download Tennessee’s Boater Regulations HERE.